All good things must come to an end….. today is the 8th and final chapter on our 1st Book Blogging Buddies experience and I am so glad to tell you it’s finally my turn to blog again! 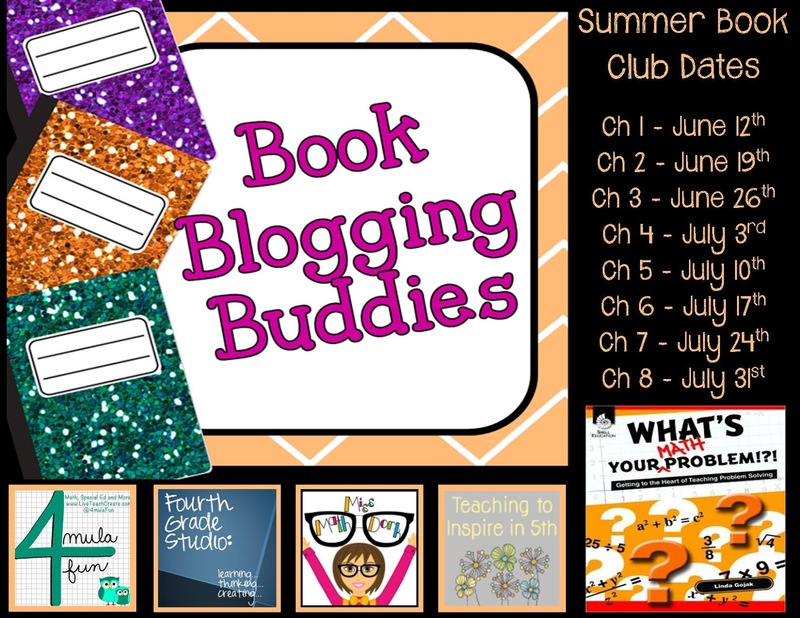 Before I begin with the chapter, I want to make sure that you have links to all of the other chapters JUST in case you have been on summer vacation or something and are just joining us on our BBB adventure! I don’t know about you, but I looked ahead to Chapter 8 early in the book. Gojak uses this chapter to answer questions that teachers often have about problem solving, especially when trying to implement new strategies in their classroom. The Q&A area is nicely organized into four easy topics: Choosing and Solving Problems, Confidence and Perseverance, Differentiation, and Assessment. My favorite part of this chapter (or is it after the chapter…eh, regardless! it’s my favorite!) are all the extra appendix goodies. I can’t imagine you NOT being able to find something there to immediately implement in your classroom! Rubrics! Templates! Actual word problems to use! Make sure to check those out! All of these amazing resources begin on page 164. So, with this chapter being the Q&A, it only seems fitting to have out own Q&A. What questions do you still have? What are your problem solving plans for this year? AND…. make sure to check back NEXT week for our new monthly Link-up! Thanks for being an awesome book club group! We’ve each enjoyed interacting with you the past 8 weeks and hope to do this again in the future!